Tar sands (also referred to as “oil sands” or “heavy crude”) is made up of a thick petroleum sludge called bitumen, mixed with clay, water, and sand. This mixture is scraped or steamed out of vast deposits in Alberta, Canada, leaving behind a sprawling, toxic wasteland where boreal forests once stood. Because bitumen is so thick, it must be diluted with thin natural gas condensates- including the carcinogen benzene- before it will flow through a pipe. This mix of bitumen oil and chemical diluent is referred to “diluted bitumen” or dilbit for short. 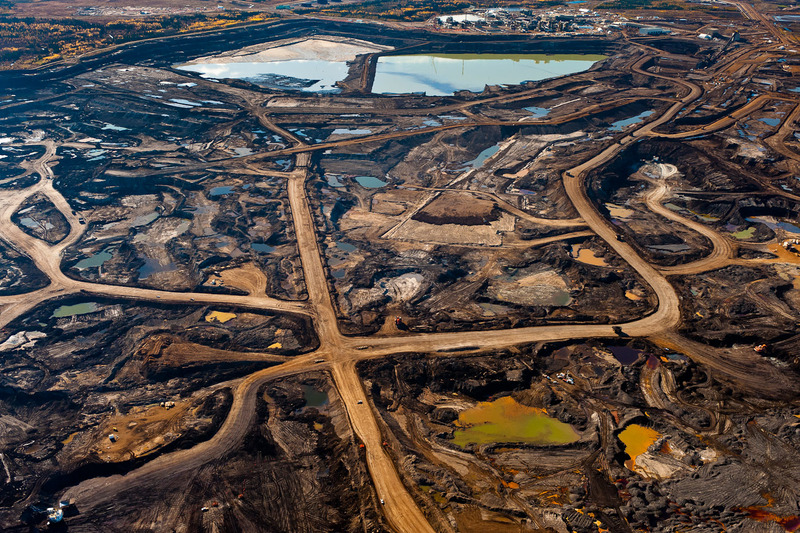 Tar sands can be open-pit or strip mined and refined into oil. The Wisconsin Petroleum Council estimates that 80% of our gasoline comes from tar sands oil. Producing a barrel of tar sands oil is a more expensive and destructive process than drilling for conventional crude oil, and the process generates 22% more carbon dioxide emissions than conventional oil. Sadly, our efforts to drive more fuel efficient vehicles are significantly undercut by the lack of cleaner-burning fuels to put in our gas tanks here in the Great Lakes region.